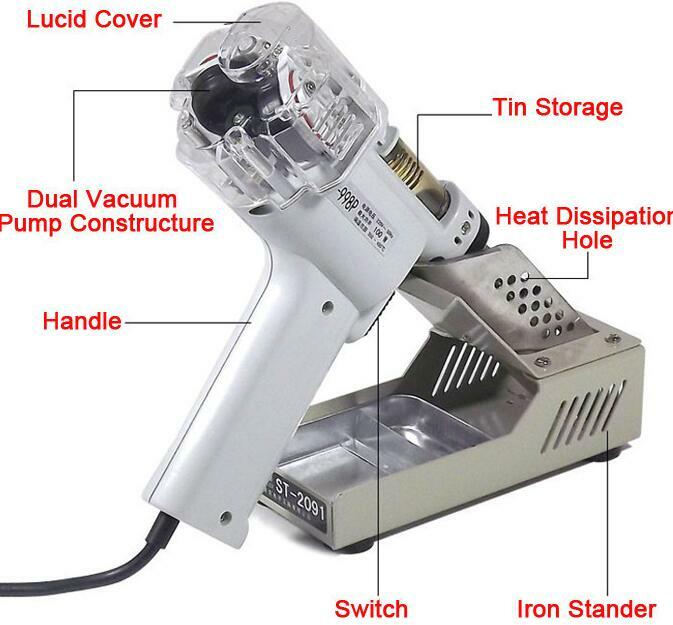 S-998P Desoldering Sucker is a powerfull Electric Desoldering Gun. S-998P Dual Diaphragm Vacuum Pump is 220V 110W desoldering station. S-998P desoldering gun 220V 100W Double Pump desoldering station. Included one NOZZLE, the default NOZZLE is 1.0mm(OD) version, if you need it with 1.5mm(OD) or 2.0mm(OD) NOZZLE, please let us konw when place your order. If you need to more NOZZLEs, please contact us (US$9/pcs).